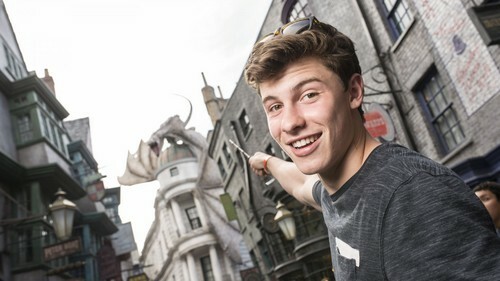 Shawn at the Harry Potter world. . HD Wallpaper and background images in the Shawn Mendes club tagged: photo. This Shawn Mendes wallpaper contains strada, città scena, ambiente urbano, scena della via, città, and urbano impostazione. There might also be arenaria and brownstone.